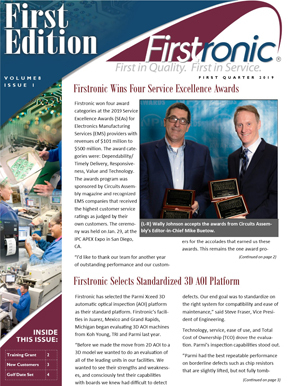 This quarter’s newsletter discusses Firstronic’s latest Service Excellence Award wins, its new standard AOI platform, a grant win that has facilitated expansion of the Grand Rapids’ facility training program and two new industrial customer project awards. The date for Firstronic’s Fifth Annual Charity Golf Scramble benefiting the Children’s Tumor Foundation has also been set. 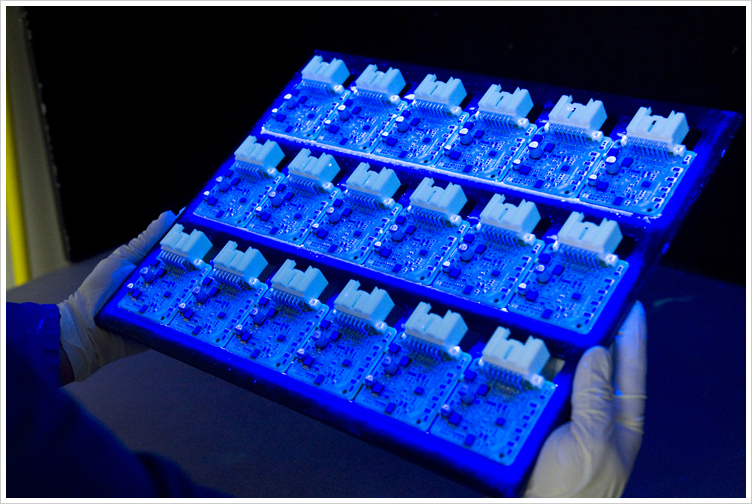 Firstronic won four award categories at the 2019 Service Excellence Awards (SEAs) for Electronics Manufacturing Services (EMS) providers with revenues of $101 million to $500 million. The award categories were: Dependability/Timely Delivery, Responsiveness, Value and Technology. 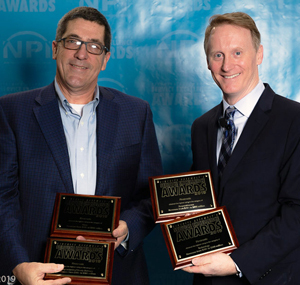 The awards program was sponsored by Circuits Assembly magazine and recognized EMS companies that received the highest customer service ratings as judged by their own customers.